Once you convert a prospect to a client or customer, it’s time to further increase your revenue and profits by offering them additional products and services at the Point of Purchase. In my experience coaching hundreds of business executives the TIMING is critical for effective up-sells and cross-sells. If timed correctly, a point of purchase sale provides a unique opportunity to increase sales EFFORTLESSLY and AUTOMATICALLY. Something most businesses I work with are glaringly lacking in their sales funnel. This strategy is perhaps one of the simplest ways to instantaneously increase your profits, and one of my favorites to share with clients because you can implement it with literally no effort, no investment, and no risk! Rugman.com is a leading Oriental-Persian online rug retailer. They also sold under-padding for these rugs. However, the padding was listed as a separate item, instead of a complimentary one that someone would need to search for to add to the cart. Needless to say very few were being sold. I advised them to add the padding offer as a “point of purchase” add-on – think Amazon’s “People that bought this book also bought….”. Then they added a drop down that educated buyers on why they needed under-padding (for hardwood floors, tile, carpet etc.). The results? 28% of the buyers purchased both the run and padding. Profits per sale soared. 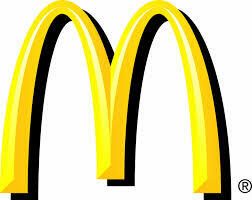 Have you ever gone to McDonalds® and been asked the question, “Would you like fries or a drink with that? ” Or “would you like to Supersize it?” These were huge winners for McDonalds as I will share in a few moments. Today McDonalds has evolved this “add-on” strategy into a “bundling/packaging” strategy, “I’ll have a #5, please”. Or have you ever purchased an electronic product and been asked if you would like to buy the extended warranty? Virtually every big-box electronics store now routinely deploys this simple strategy. Or have you ever gone to purchase a basic model appliance, say a washer and dryer, and planned on spending say $1000 – but instead left with a better model to meet your needs, which costs $1250? And have you ever found yourself saying “sure, why not” to such offers, even though you had no plans to make these additional purchases, or spend the extra money? Now don’t think you are unusual. In fact, 15–30% of businesses and individuals say “yes” to these questions. Think about it. You or someone you know evaluated the menu and decided NOT to order a large fry or shake or large drink. After all, you want to watch that waistlineJ. Yet a lot of customers AUTOMATCALLY say “yes” when asked these questions…as if they were in a trance. Well, that’s because they sort of were. They were in what I call a “Purchase State” of mind. This is a small window of time that takes place a few seconds before and after the order is finalized. You see, we generally have our FILTER on that acts as a wall against sales offers. But once we make the DECISION to buy we have to turn off that filter for a few seconds…and herein lies the subconscious opening to a well-timed, well orchestrated add on offer. People will buy almost anything that is related to their primary purchase. It is amazing how easy it is to say “yes” while in this Purchase State. This strategy involves using the techniques of Up-Sell and Cross-Sell. In essence, these involve offering the buying client, at the point of purchase, more of what they just purchased (up-sell). Up-selling generally involves getting the customer to purchase a larger quantity or higher volume of the item they are purchasing. For example, offering an incentive to buy another shirt, or a better quality shirt. Or an additional product or service that is related to the primary sale (cross-sell). On the other hand, cross-selling generally involves getting them to buy an item that complements or is related to their primary purchase. For example, offering an incentive to additional items.